Last Tuesday was the first time I have ever visited an OfficeMax. I felt like a kid in a candy store. I bought a great (and purple) task chair for $46.99 plus a few other things that I’ll be using for the school year. In honor of the blog’s current back to school theme (which also includes back to work), here are five desk accessories that are interesting, Eco-friendly and under $100. All of them look like conversation starters, so who knows? Maybe you’ll get that promotion/raise that you wanted. Probably not. Have a great day! They look pretty cool, right? 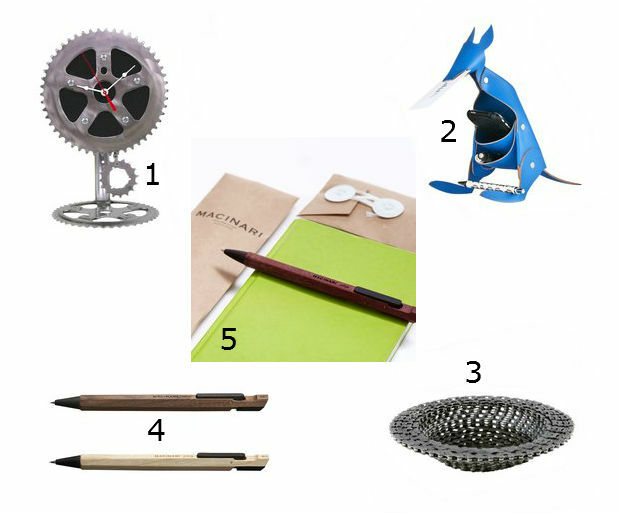 Would you buy any of these accessories for your desk at work or at home? Tell me on the comments below! Tags: AHAlife, Back to School, Back to Work, Desk accessories, Eco-friendly buys, Ideas, Office, Office space, Work. Bookmark the permalink.